Minivans continue to be the family-friendliest vehicles out there, and, this year, the 2018 Honda Odyssey and Toyota Sienna are both offering a range of new features to increase their allure. Which model belongs in your driveway? Check out our comparison guide to learn more. As you might expect, the Odyssey delivers three rows of spacious, comfortable seating. But, more than that, it features a new second-row seat design with a removable center seat. The outboard seats tilt and slide forward, creating a range of adjustments so you can tailor the cabin to fit passengers and road-trip luggage. The newly updated Sienna is also roomy and comfortable - the perfect place for a family trip up the coast. However, its second-row seats don't fold nicely into the floor for quick access to increased cargo space. You have to remove them completely, which is pretty old school. The Odyssey is parent-centric, giving you the features you need to monitor a gang of rowdy passengers. With the new rear-seat surveillance camera system, nothing gets by you. It even features night vision, so you can keep an eye on a sleeping babe as you cruise down the highway. Then there's the intercom system, which broadcasts your voice via Bluetooth microphone through the rear speakers so there's no escaping your parental suggestions. Like the Odyssey, the Toyota Sienna features an intuitive infotainment interface. It makes it easy to access apps like navigation or make hands-free calls on the fly. Upper trim models even provide a 4G LTE Wi-Fi hotspot, which means kids can spend traffic jams contentedly surfing the Internet. 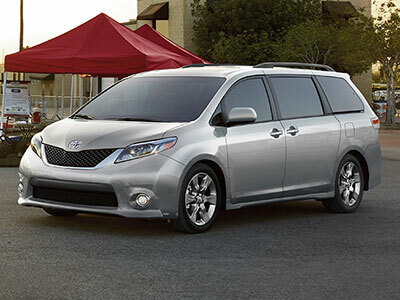 This year, the Sienna comes standard with the Toyota Safety Sense package. This bundle of high-tech driver aids includes automatic emergency braking. Should it help you avoid just one accident, this feature is worth its weight in gold. The adaptive cruise control technology works at all speeds, so it's equally helpful at highways speeds as it is in bumper-to-bumper jams. 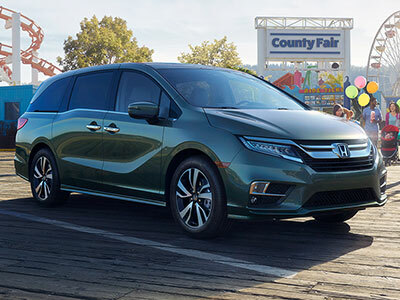 The base 2018 Honda Odyssey doesn't come standard with many driver aids, but you need only upgrade to the next level, the Odyssey EX, for high-tech vigilance. Its features include blind-spot monitoring, which helps you switch lanes in heavy traffic. You'll also find lane departure intervention - a feature designed to keep you from scraping rock walls or veering into oncoming traffic. Once again, the Odyssey reigns supreme. Its newly revised engine is more powerful than ever, so you can merge seamlessly onto highways alongside sporty utility vehicles. This minivan also sports a new transmission, bringing you a responsive performance and impressive fuel economy. The Odyssey earns 19 city/28 highway mpg. The Toyota Sienna is the only minivan with all-wheel drive. This fact alone can make it the right pick for families who live in icy climes. Although the EPA hasn't rated the new model yet, last year's Sienna lagged behind slightly, earning 19/27 mpg. Minivans are undoubtedly the right choice for families on the move, but the newly redesigned 2018 Honda Odyssey is almost too good to be true. With its innovative tech features, nothing will get by you. Inside, three rows of seating provide the necessary elbowroom, and options like leather upholstery add to your comfort levels. On the road, high-tech safety features help you keep your loved ones protected and performance is seamless, so you can think about more important things.